The groundbreaking festival, famous for its mind-blowing setting and a superior lineup of class global headliners and regional talents, now has announced its massive Asia and Australia tour, including 6 hottest nightclubs across CHINA! Epizode³ resident MASHKOV alongside local DJ heroes will be playing series of promo parties, spreading festival’s infectious vibes and high-quality sound. Shanghai is one of the cities, on November 23 Organized by Techno Train and Toxic Entertainment at the best underground spot in Town - Celia. 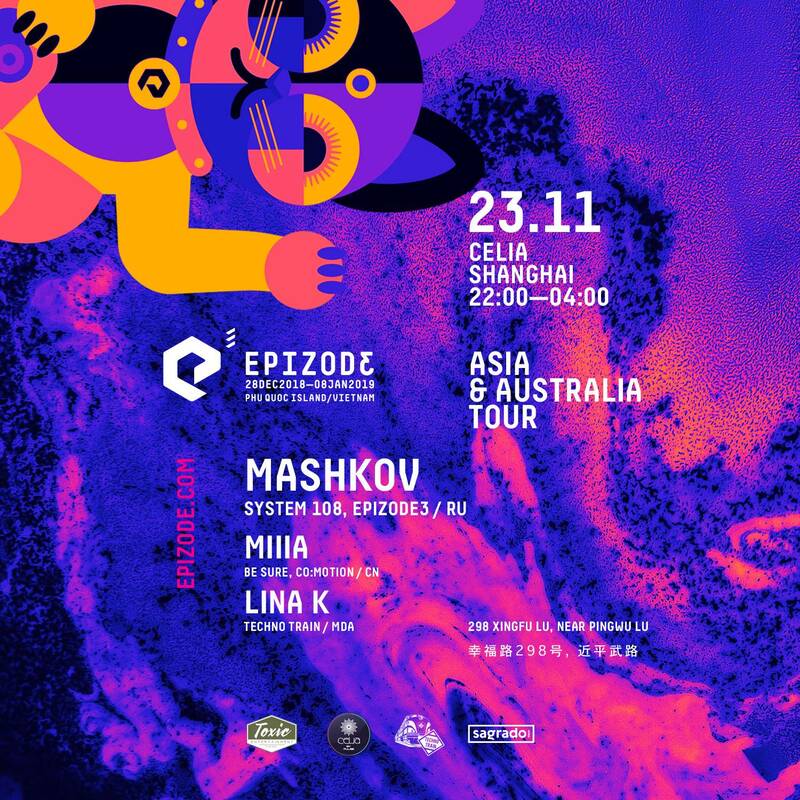 MASHKOV will be rocking the house while bringing his unique blend of house and techno with an acidic color that keeps the global dancefloors in euphoria for hours. This DJ, promoter andSystem 108 label founder, is among the most exciting Russia’s names, that conquered many venues from Moscow to Berlin, Madrid, Tel Aviv, Zurich and many more. His label System 108 releases the finest underground beats, throwing parties with thousands of followers, and organizes the techno stage Miller Future Music on Alfa Future People Festival. And especially for you festival lovers, we decided to give away 3 free passes for 11 days of Epic Epizode 2018 -2019 at Phú Quốc Island in Vietnam. Don’t miss your chance to be a part of it.